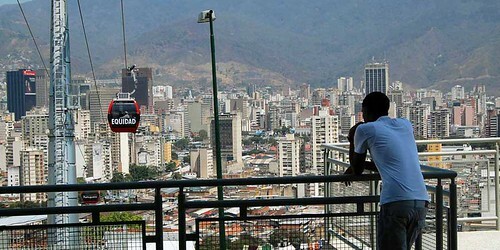 Inspired by the Medellín Metrocable lines, the Caracas Metrocable was designed to spur social development and have a positive impact on the city. Running through the San Agustin barrio, the Caracas Metrocable cable line connects directly to the city’s subway network. The system’s massive stations were built to accommodate large community-oriented spaces such as health clinics and gymnasiums. The Metrocable was constructed in 2010 and is the first known CPT line to include two ~90 degree turning stations along one route. In total the line has five stations and is 1.8km in length.